Monosaccharides are carbohydrates formed from a single sugar molecule. These simple sugars impart a sweet taste to foods. Monosaccharides do not need to be broken down during digestion, as they are already small enough to be absorbed. These sugars are absorbed in the small intestine, where they pass through the mucosal lining and into the bloodstream. The level of sweetness and ability to affect blood sugar levels will vary depending on the type of monosaccharide. The carbon and oxygen atoms in the sugar galactose form a hexagon -- a six-sided ring. 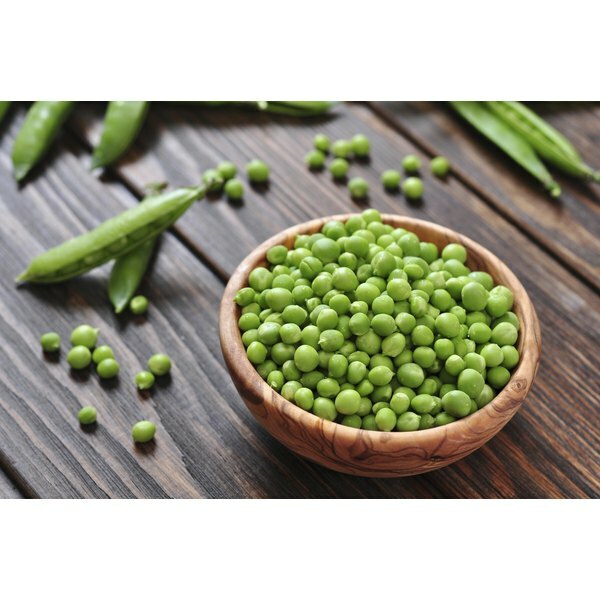 Galactose rarely occurs by itself in foods, although it occurs in peas. When galactose binds to glucose, it forms the milk sugar lactose. A rare genetic condition, galactosemia, occurs in 1 out of every 60,000 births, according to MedlinePlus. In this condition, the baby is unable to digest galactose and it builds up in the body, causing a range of health problems. Avoidance of dairy products or infant formula with lactose prevents these health problems. Glucose, also known as dextrose, is the most common carbohydrate in nature. Glucose is a basic unit of more complex sugars, or polysaccharides, and is a mildly sweet sugar. In nature, glucose rarely exists as a single molecule. In fact, every disaccharide has glucose as one of its two sugar molecules. Glucose is also part of starch and fiber molecules. Glucose supplies energy to your cells and is the preferred fuel for your brain. Your liver stores and releases glucose when needed to regulate blood sugar levels. Glucose is the sugar tested for by diabetics when they measure blood sugar levels. Glucose has six carbon atoms, and has the chemical formula C6H12O6. Like galactose and glucose, fructose also has six carbon atoms. Unlike galactose and glucose, the carbon and oxygen atoms of fructose form a pentagon -- a five-sided structure. Other names for fructose include levulose and fruit sugar. This monosaccharide is the sweetest tasting sugar, according to the book “Nutrition.” Both fruits and vegetables contain fructose. Honey contains both glucose and fructose, although the sweet taste of honey comes mainly from the fructose. Corn syrup, which consists of 50 percent fructose, sweetens foods like soft drinks, desserts and jams. Sugar molecules that contain five carbon atoms are termed pentoses. Pentoses occur in food in very small amounts, although they are an essential part of the genetic material of every cell. The monosaccharide ribose is a part of RNA, or ribonucleic acid. Deoxyribose, another five-carbon monosaccharide, is part of DNA, or deoxyribonucleic acid. When a hydroxyl group, or –OH, replaces a hydrogen atom in the sugar molecule, it becomes a sugar alcohol or polyol. Your body does not completely absorb sugar alcohols, and as such, they do not produce much of a rise in blood sugar levels. These monosaccharides also have fewer calories per gram than other sugars. Sugar alcohols include erythritol, isomalt, lactitol, mannitol, sorbitol and xylitol. Xylitol has a sweetness level equal to table sugar. Sugar alcohols do occur in very small quantities in some fruits. However, these monosaccharides are manufactured in large quantities synthetically. Sugar alcohols are useful as low-calorie sweeteners in foods such as chewing gum, sugar-free candies, hard candies, chocolate and toothpaste.